Patent law is one of the most nuanced and complicated fields of law. In many instances, changing one word in a patent application can lead to a drastic change in the interpretation of the patent application and its claims. At times, inventors will read a do it yourself book on patent protection or an internet article and attempt the process by themselves. More often than not, these individuals quickly find themselves in over their heads within the US Patent & Trademark Office, scrambling to find a patent attorney to get them back on track. Unfortunately, many times too much damage has already been done. No matter what you ultimately choose, we highly recommend at least speaking with a patent attorney in a free initial consultation before any patent application is filed. Whether you are a garage inventor with a useful invention, a small business with a groundbreaking idea or an established company looking to put a new product on the market, it is advisable to speak with a patent attorney to discuss patent law and protecting your intellectual property with a patent. Utility patents provide a 20-year patent term, while design patents provide a 14-year patent term. 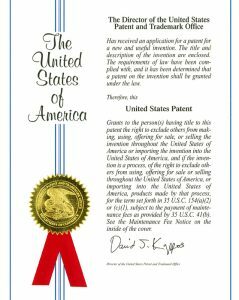 A patent application properly prepared by a patent attorney can help you avoid many of the pitfalls faced by those applying for protection on their own and can help you maximize the protection for your invention. Often times, inventors are looking to license or assign their idea to a larger company with the means to produce, and sell, the invention to a larger market. In these cases, an affordable provisional patent application, properly prepared by a patent attorney, can provide limited protection, while lending credibility to the invention and preventing the idea from being stolen by a competitor. Should you ultimately choose to manufacture and sell the invention yourself, a provisional patent application may be used as a tool to extend full patent protection for an additional one year term. While an inventor does not have to be a patent attorney to file for patent protection, it is highly advisable to have a patent attorney guide you through the process of applying for patent protection. The application and examination process is very complex and a patent attorney can help you avoid many of the pitfalls faced by those filing for patent protection on their own. A patent attorney at The Olmsted Law Group, PLLC can help you from start to finish during the patenting process and help you avoid any costly mistakes. We can perform prior art (patent) searches, draft patent applications and claims, represent you before the USPTO during the examination process and counsel you once a patent issues.